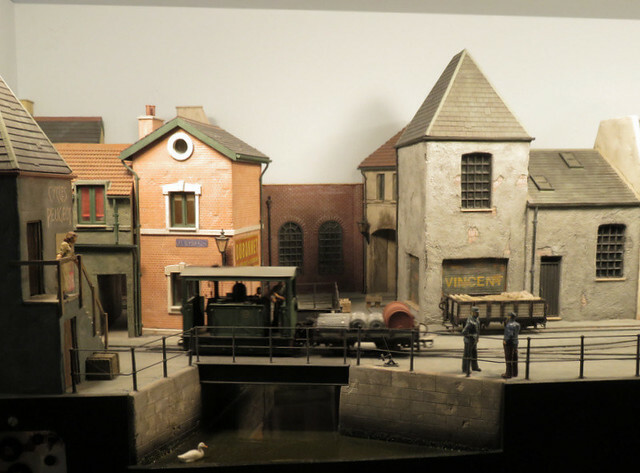 Michael's Model Railways: Uckfield scores again! Last Saturday I made the trip to Uckfield for the local show, which always manages to have really stunning layouts, so that it feels more like a showcase exhibition than a club show. Perhaps it's the attraction of the exhibitors lunch? Anyway this year was no different. Let's start with The Yard (7mm scale, 32 & 16.5mm gauges) by Martin Coombs and Friends. 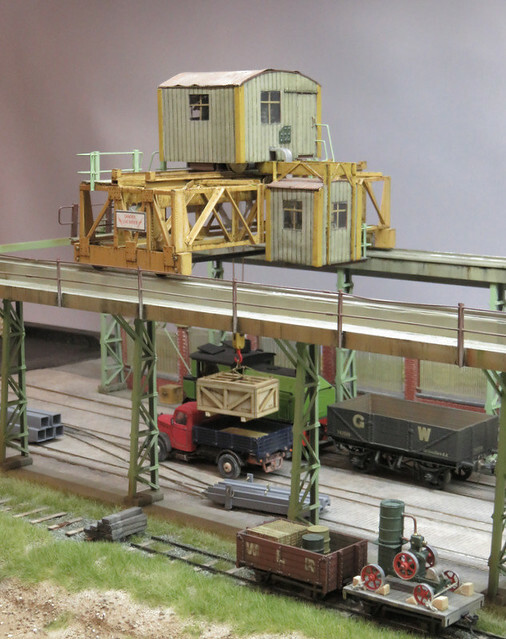 A new dual-gauge layout with DCC sound, radio-control lorries, and operating crane, demonstrating transferring loads between gauges and road transport - all hands off. Impressive, nicely detailed and presented too. I love Christopher Payne's layouts, which all have so much detail and charm. St Pierre et la rue Perrin (1:34 scale, 16.5mm gauge) is full of French atmosphere. Fintonagh (7mm scale, 21mm gauge) by Dave Holman was a lovely layout based on Irish narrow gauge - the Clogher Valley Railway in particular - and built to scale 3' gauge, to a very high standard. One I'd not come across before, but hope to see again. A "local" themed layout was Brighton East (EM) by Dave & Matt Smith, based on a might-have-been concept. Everything about the layout - stock, station, background buildings (including the Hospital), and even the bus livery - set the location so effectively the station name-board wasn't needed. Very nicely done. 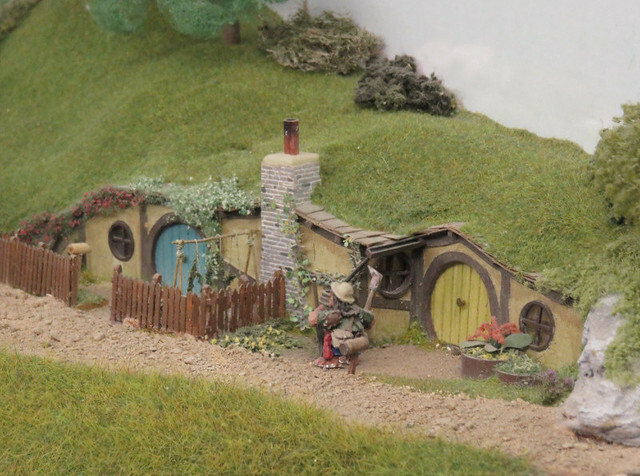 And finally, you may have come across Hobbiton End (5.5mm scale, 9mm gauge) by Simon Addelsee in Railway Modeller recently. I'm disappointed to see a letter in the latest issue complaining about it being featured - are people really that sad? Anyway, I love it - it may be fantasy, but it's done seriously and to a high standard. And one of my favourite photos didn't even include a train. I shall have to stop there, but there were many more layouts that I liked - including one by the local high school club - so do have a look through more photos here.